For the first time a Chinese wine, Château Hansen‘s, will be present at London International Wine Fair. Château Hansen was established by the Han family in the 1980s. 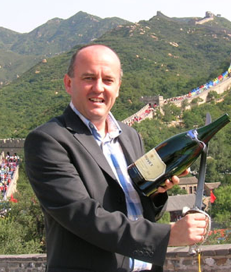 Since 2010 winemaking has been overseen by French winemaker Bruno Paumard (below, on the Great Wall) who was previously with Saumur-based Bouvet-Ladubay sparklings. Paumard will be presenting Château Hansen wines at LIWF next May. Château Hansen is an organic estate — China’s first — located in Wuhai, on the southern edge of the Gobi Desert, in Inner Mongolia. 450 ha of vineyards have been planted in the Wuhai valley and adjacent region of Ningxia, at an altitude of around 1,500 m. Conditions are arid with temperatures dropping to as low as minus 30° over the winter months, when the vines are buried for protection. At the LIWF Château Hansen will be presenting its Côtes du Fleuve Jaune du Désert de Gobi. This is a blend of Cabernet Sauvignon, Cabernet Gernischt, Cabernet Franc and Merlot, sourced from parcels in Ningxia, Gansu and Wuhai and aged in 30% new French oak for 16 months. Cabernet Gernischt is considered the flagship varietal for China with spicy, peppery characteristics. Château Hansen currently produces around two million bottles a year, with no history of exporting until now. 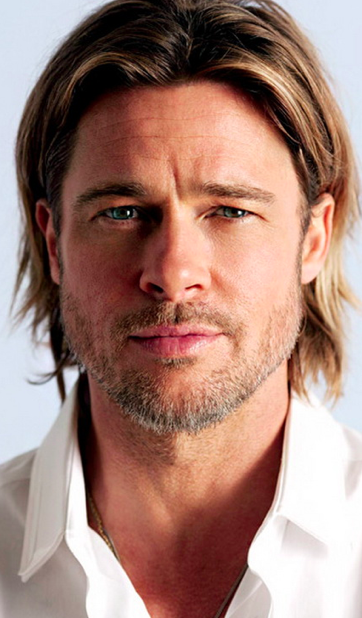 Hollywood stars Brad Pitt and Angelina Jolie have joined forces with the Perrins of Beaucastel to produce wine at their Provence estate.